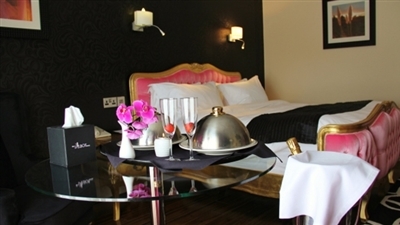 The Talbot boutique hotel is the perfect party venue to hire. The Talbot boasts a reception room ideal for celebrations & family get-togethers, weddings, anniversaries, 18th birthday parties, 21st party ideas and more….. with our vast inventory of spirits and our ever changing cocktail menu makes us the perfect venue to get that drink you can't get anywhere else. The Talbot provides an attractive venue especially designed for boutique parties, which can cater for up to 170 guests and opens out onto its own private terrace. Situated on the second floor, easily accessible by a lift directly into the function room and access to our bar opening out onto a sun terrace, you have exclusive access to the whole second floor of the hotel. Catering is one of the most important aspects of any event, with a reputation for exceptional fine dining, The Talbot promises to elevate your celebrations with our creative and elegant cuisine available from an intimate gourmet buffet to a splendid banquet. For a more casual celebration we are happy to offer an exciting mix of finger food. With only one function per day our focus is you, our dedicated and professional team will ensure your event is even more than you had imagined. A luxury private dining room is also available at The Talbot Hotel, seating up to fourteen guests and is located on the first floor. It is an ideal venue for celebrating intimate family christenings, anniversaries, birthdays or get-togethers. This contemporary venue has the benefit of privacy without losing the atmosphere and style of The Barony Restaurant. Set Menus can be designed to suit your requirements. To discuss your forthcoming event call us now on 097-20484 to arrange a meeting with our team and tour of the hotel.